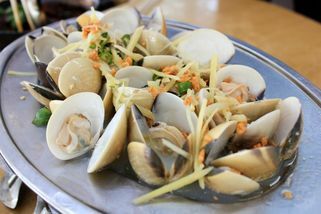 No.9, Jalan SS22/19, Damansara Jaya, 47400 Petaling Jaya, Selangor. Part of the Wing Hiong Bah Kut Teh chain. From Sprint Highway go straight, passby Tropicana city mall. Take the exit toward Jalan SS 23/23, SMK Damansara Jaya will be right hand side. Turn left onto Jalan SS 23/23, then turn left to shoplot area. Wing Hiong same side with 99 Speedmart market. Bak kut teh is immensely popular within the local Chinese community. 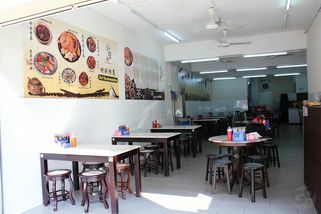 Wing Hiong Bak Kut Teh restaurant claims to be one of the top 10 bak kut teh served in Klang and with that achievement in the birth place of bak kut teh itself, you can set your expectations high for the food at Wing Hiong Bak Kut Teh. 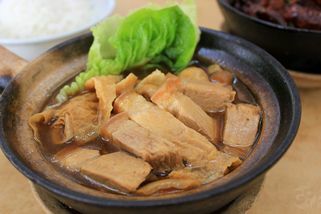 As with standard bak kut teh restaurants, customers can choose the type of meat they want in their pot of soup or dry bak kut teh from various cuts of pork and, for the adventurous, internal organs. 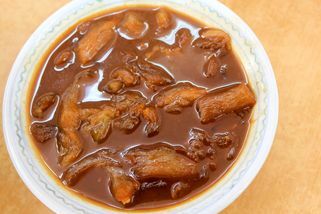 Besides the usual cruellers and bean curd sides, Wing Hiong Bak Kut Teh also has a la carte dishes like Steamed Clams, Pork Tendons and Steamed Fish with Bean Paste Sauce. This outlet operates in Damansara Jaya. 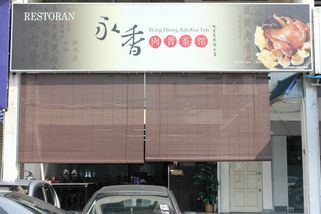 Wing Hiong Bah Kut Teh @ Damansara Jaya has no review yet. Submit a review!